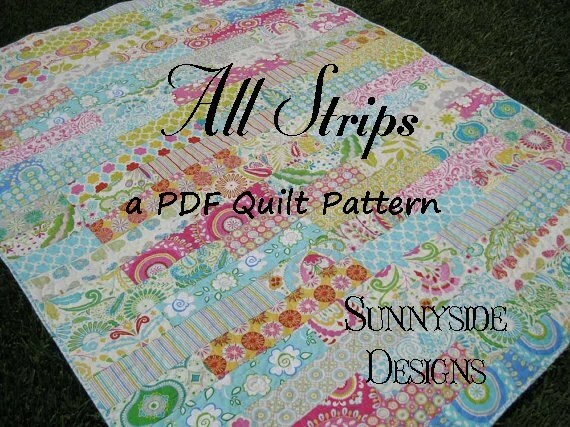 I’m so excited that my SIL Lisa will be making baby Sienna a crib quilt for her bedding. The curtains in the room are sage, and we plan to paint the back wall that the crib will go up against a light lavender. I was going for a French look with a chandelier wall decal the edge crib. Shabby Chic and elegant without being too frou-frou! 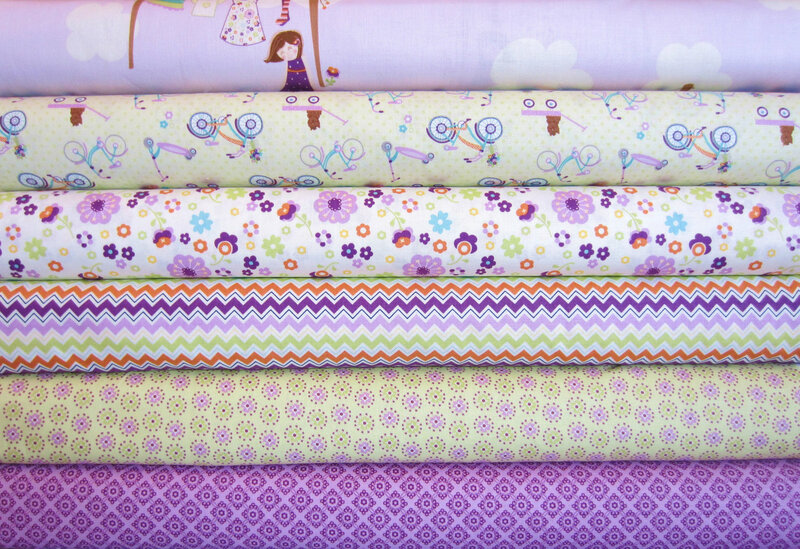 So, with that being said, I have the task of picking out crib quilt fabric that would work well with those colors and style. It was really hard to find something in lavender! I have whittled them down to these two collections, and I need your thoughts! 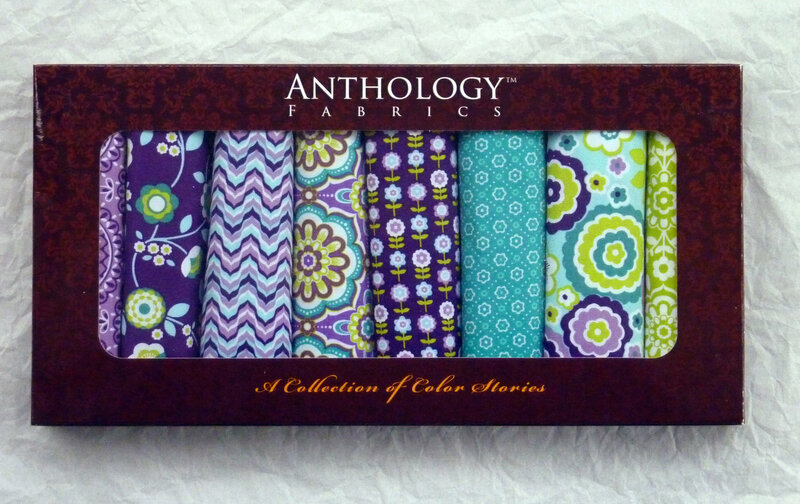 Okay, so this first fabric, let’s call it “COLLECTION A” is calming and sweet for a little girl. I love the colors because they’re not the typical pinks, but more soft purples and light greens. I think it’s super cute for a baby girl, but worried that it’s too muted and won’t be something that she’ll love many years down the line. The first fabric you can’t see, but it’s clouds on a lavender background with a little girl and a clothes line of girly clothes. This second collection, let’s call it “COLLECTION B” is super cute, and vibrant, but is it TOO vibrant? It has some very pretty fabrics in it, but worried since I’m using a bit of a more muted sage for the curtains, that it is just too bold of a collection. I like the fact that it has more “mature” fabrics, that may last a little past the baby years, but are they too mature for a baby? I only need six different fabrics, so I think I will eliminate the second one in (too blue) and the sixth one in that is a small turquoise pattern since it may compete with my sage curtains. I consider myself a pretty decisive person, but I can’t seem to decide on which grouping. I need your help, so please place your vote on this poll! Update: I decided on Collection B! Thanks for your vote! I can’t wait to see how it turns out!